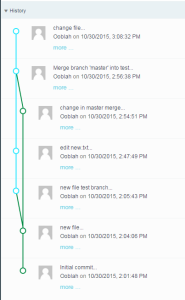 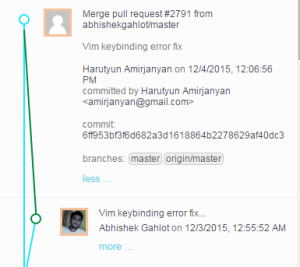 Orion now supports a graphical view of commit history, similar to the git log –graph command on the Git command line. 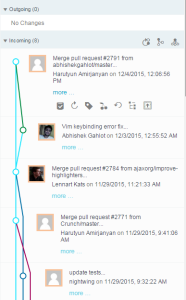 And as the tooltip says, it draws the graph. 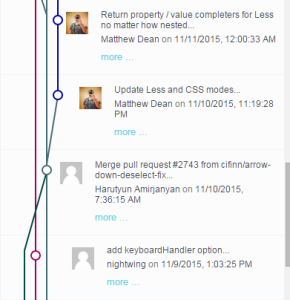 Toggle it, and you will see this graph merged beautifully into the original commit history container. 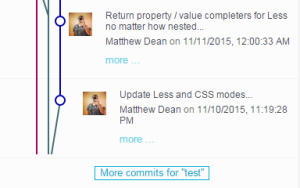 And the drawing stretches with the commit information container.